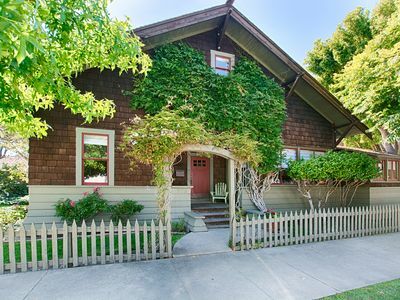 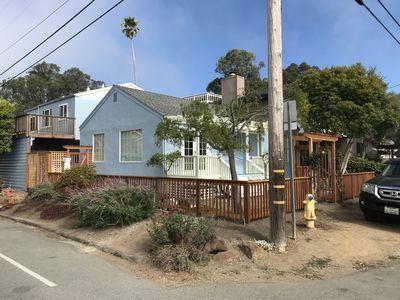 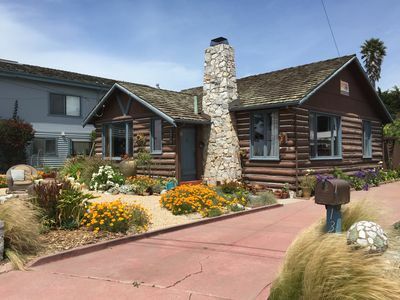 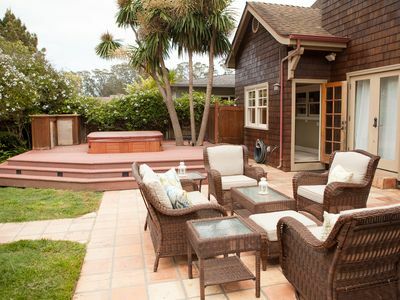 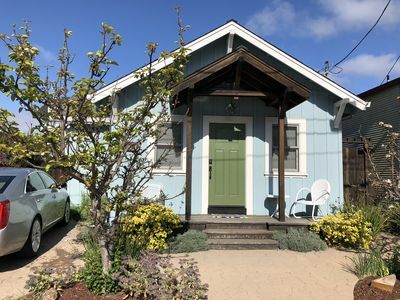 This Original Seabright Beach single story cottage was converted in the early 1900's to a two story Craftsman Bungalow. 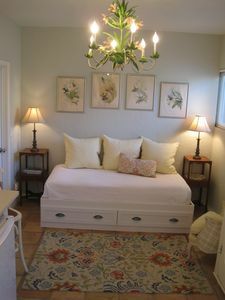 The home is furnished with nautical decor. 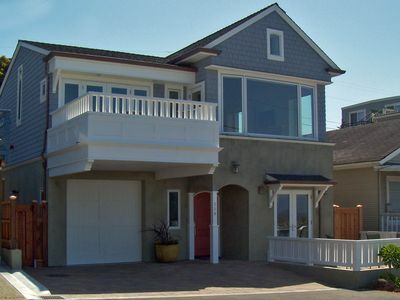 Upstairs sunroom looks out to the bay and municipal pier beyond. 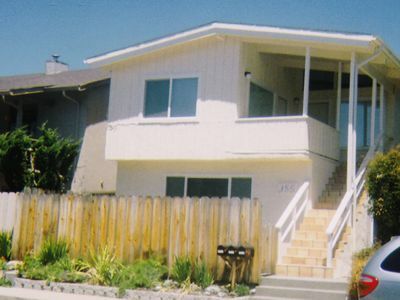 Peaks of the ocean from three other upstairs bedrooms. 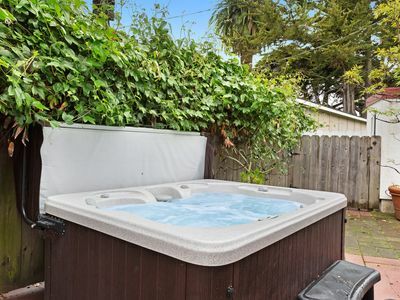 Upstairs bathroom is large with old fashion clawfoot soaking tub. 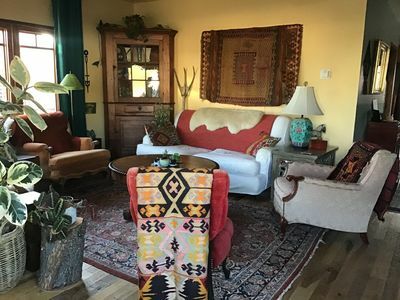 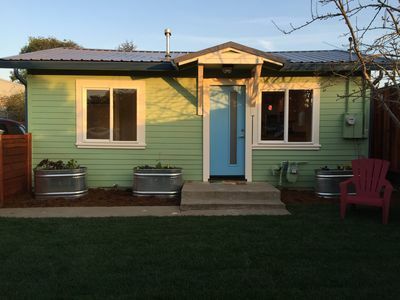 Downstairs has a large living room, large dining room, large kitchen with eating nook, also a private bedroom off the front porch, and the west bedroom with its own enclosed sun porch. 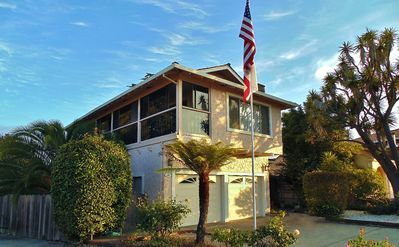 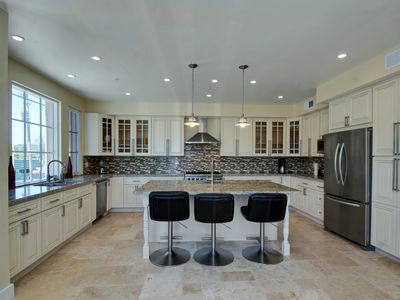 The home sits on a corner lot surrounded by well kept lawns and gardens with many cozy sitting areas, some with a view of the beach, a welcome after a long day at the beach. 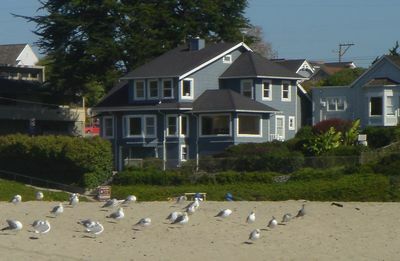 Wake up each morning to the gentle reminder that you're as the beach with the sound of waves and sea lions barking in the distance. 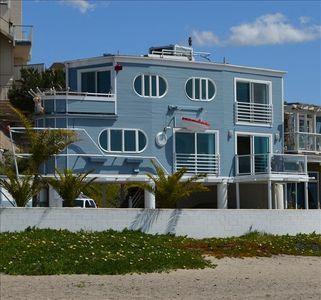 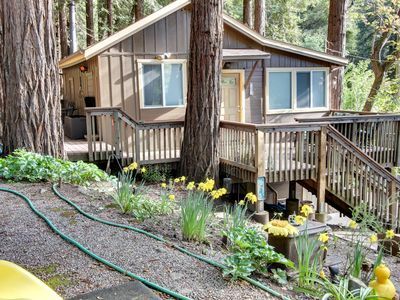 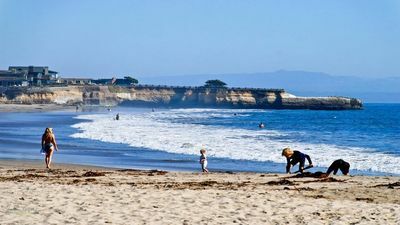 Beautiful Beach Condo in Santa Cruz, Walk to the Beach!! 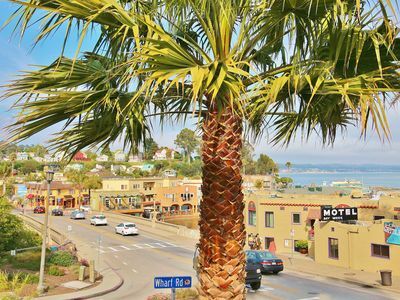 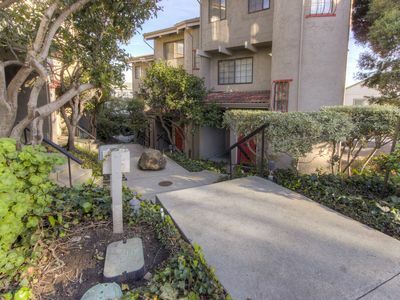 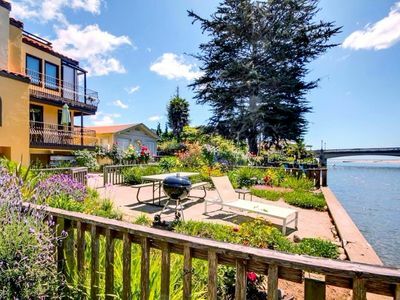 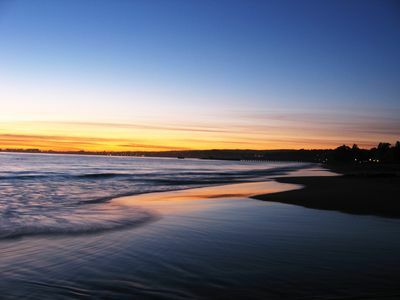 Capitola Dreamin - oceanview condo in the heart of Capitola Village!